Next Meeting: April 16, 4:30 pm, Frostwood Elementary. Program: Looking Across the Bridge" by Terrie Cardwell. 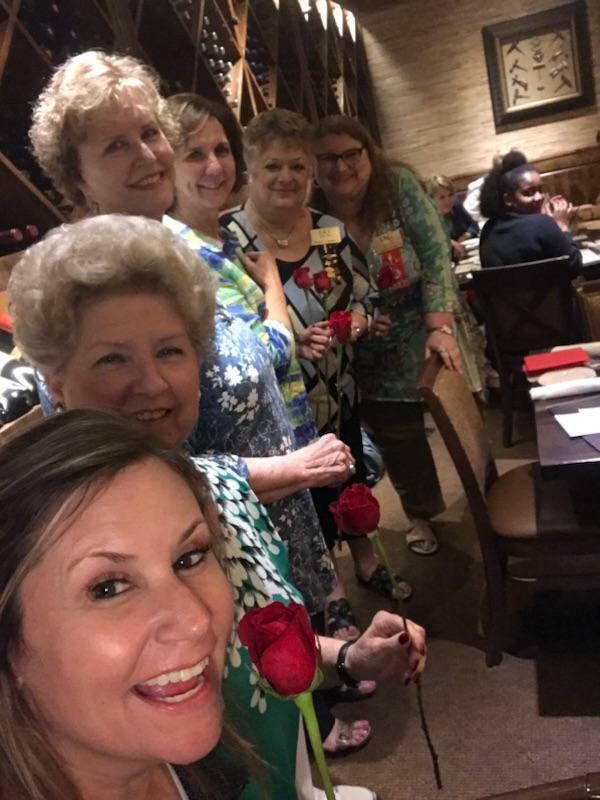 Diana, Zeta Tau President, was one of 31 selected to attend the DKG TSO Leadership Seminar in 2019 held in Frisco, Texas. 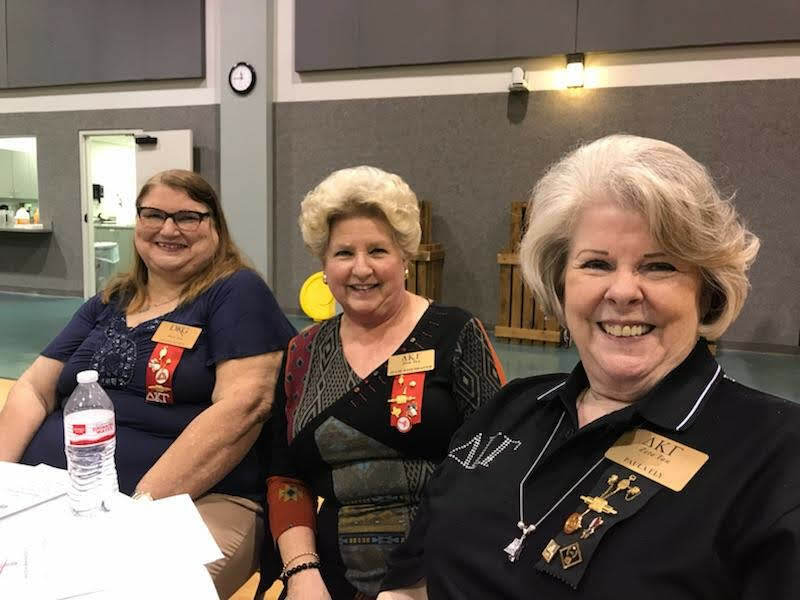 We welcomed two new members into Zeta Tau at Induction Ceremonies held at Taste of Texas on January 14. Pictured above are Paige and her sponsor, Sasha, and Sara and her sponsor, Mary Ann. 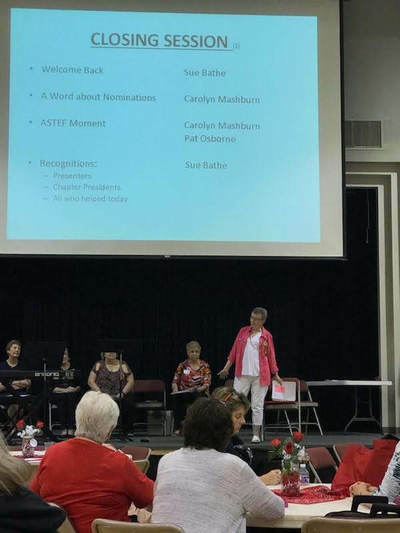 Area 18 Workshop held Saturday, September 15---members attending are Pat (presenting on ASTEF), Lorena, Mary Ann, Diana, Julie, Paul and Sasha. Ten Zeta Tau members attended the International Convention in Austin in July. Pictured below are Lorena, Pat, Terrie, Dora, Julie, Paula, Elke, Mary Ann and Diana. Not pictured is Sandy who also attended one day. Getting ready to sit through hours and hours of by-law amendments. Diana, Pat, Terri, Chris Morrison, Elke, Julie, Mary Ann and Paula. 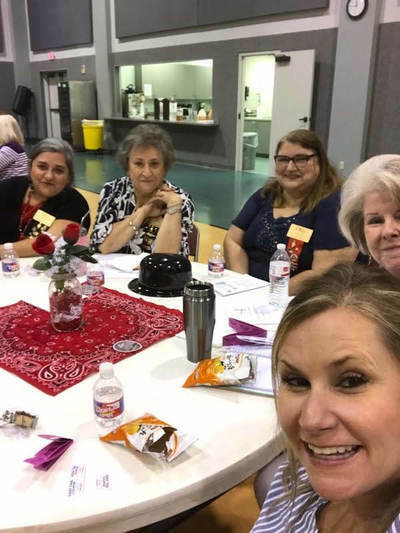 Mary Ann, Paula, Diana, Pat, Terri, Julie and Elke attended. The 2018 TSO Convention was held in Waco, Texas. 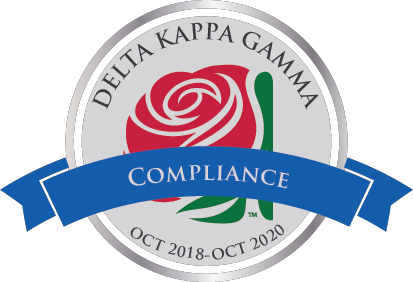 Zeta Tau was proud to be recognized for the following awards: Tudor Rose (membership), Exceptional Yearbook, and Website. 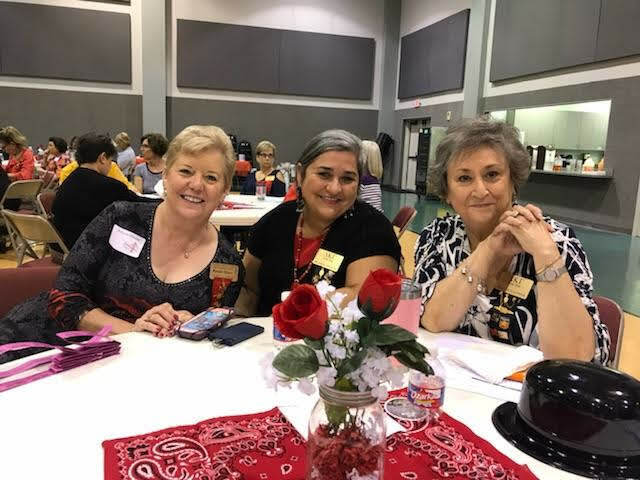 For more pictures of the 2018 State Convention, click here. ​Our May meeting was held at Taste of Texas where Nina Hendee, gave us a history and tour of collected Texas memorabilia. She also introduced 3 members of the crew who have used Taste of Texas scholarships to pursue their educational goals. 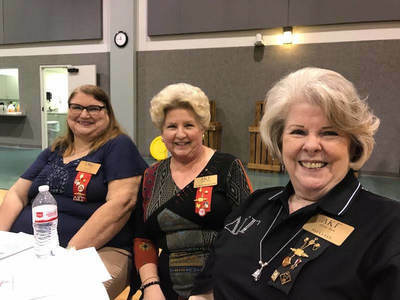 The meeting continued with the induction of 2018-20 Officers.